When I was little, The Little Mermaid was one of my obsessions. My first tape of it was actually a copy of the tape from her local library. (Scandalous, I know.) But I had once been obsessed with Lady and the Tramp and then, after a nightmare one night, became inconsolably afraid of the Siamese cats. (Truth: My blood pressure still rises when the movie is on and I know we're getting closer to that scene. I usually have ot leave not just the room, but the house.) So when The Little Mermaid came out and I was only eighteen months removed from the Siamese cat fiasco and my parents were afraid I'd have the same reaction to the Flotsam and Jetsam (the moray eels) and Ursula. Before we spent any money on our own copy (and we didn't have a lot of money back then), she thought a copy of the library tape would suffice. I fell in love with the movie. Flotsam and Jetsam didn't bother me, neither did Ursula, and it quickly became a favorite. I wore out the cheap tape that my grandma had copied it onto and I remember when I got the real VHS copy in it's heavy duty Disney-style case for my birthday. Sidebar: When I went to Disney World for the first time when I was 13 years old and we went to the Living Seas exhibit, my dad called me over to see a real moray eel, even though my mom and brother both told him it was a bad idea. Flotsam and Jetsam's real life counterpart is the most terrifying thing I've ever seen. I ran away crying and hid out in the gift shop until the rest of the family was done. The point is, I've always loved a good mermaid story. But since I've been reading YA the five years or so, I've had a really hard time finding truly good mermaid stories. I've found some that were okay or just entertaining, but not ones that I really loved. When I read about it while planning for BEA, it didn't really strike a chord with me. And I had had enough bad experiences with YA mermaid novels that I really wasn't in the mood to be disappointed again. But a friend asked me to get her a copy and so I did. And of course, I couldn't help but read the first couple pages. Once I had, I was hooked. So on my second to last day in New York City, I headed over to Books of Wonder and was able to grab myself a SIGNED copy of Deep Blue! I had a few other books on in my reading queue to finish first, but as soon as I was able, I dug into Deep Blue. If I hadn't had some major health stuff going on, I probably would've finished it in a day. But I did finish the first 180 pages in one night and I was hooked right away. A lot of mermaid stories I've read are very dark. They portray the darker side of mermaids -- the more paranormal and creepy side. 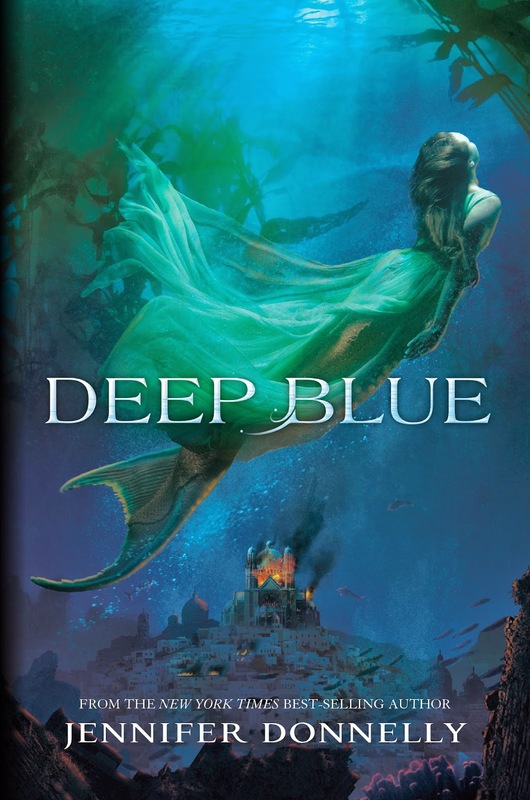 This story was much lighter, it depicted mermaids as I've imagined them and yet also had a deep story that involved political conflict, history of the merpeople, and also made good use of mythology. I am a mythology nerd, so I naturally gravitate to and love anything mythological. I loved how the story interwove the history of magic and music, and how the two were so interconnected. I also just found the book to be extremely clever. Instead of calling each other "girls" they called each other "merls." The vernacular was fun, accurate, and smart, without being overly cutesy. In one scene, the main character, Serafina, discusses how the merman she is betrothed to used to be goofy and all he wanted to do was play "Galleons and Gorgons" which is obviously an allusion to the popular human game Dungeons and Dragons. And while so much of the language and terminology was new to me as a reader, the music terms were the same. I loved that idea that music is a universal language -- that mermaids would understand musical terminology the same way we do. I also really liked the strong girl power vibe. When we meet the Praedatori, who Serafina and her friend, Neela, had originally believed to be villains, we learn that this really isn't the case. They're more like an underwater version of Robin Hood's Merry Men. In general, Deep Blue tackles a lot of issues and topics -- the idea of stereotype, misconceptions, rumors, and especially, fear. When Serafina and Neela end up trapped in the mirror land and meet its ruler, Rorrim (mirror spelled backwards), he is able to literally paralyze them by tapping their worst fears. I loved that concept, because fear can be paralyzing, it can be what keeps us from moving forward. I loved all the characters of Deep Blue. I felt like Jennifer Donnelly did a really great job creating these characters and giving them strong voices. They were all very compelling. I especially liked Ling, an omnivoxa mermaid, meaning she speaks all languages, not just those spoken by humans or merpeople, but every creature and being. She's a little blunt and callous and can come off as a know-it-all, but it's really just because she's spent her whole life being different and having this skill that no one else can really understand. But yet, she's lovable. She kind of reminded me of Sheldon Cooper. For me, Deep Blue was the most pleasant surprise. I loved it so much more than I thought I would and I was totally entertained, but also felt like I learned a few things in terms of mermaid myth, which is something I love. I've read a lot of great books so far in 2014. In that list, there have been a lot of series conclusions, many of which I really, really, love. Some of them will be in my top 14 of 2014 when the year ends. 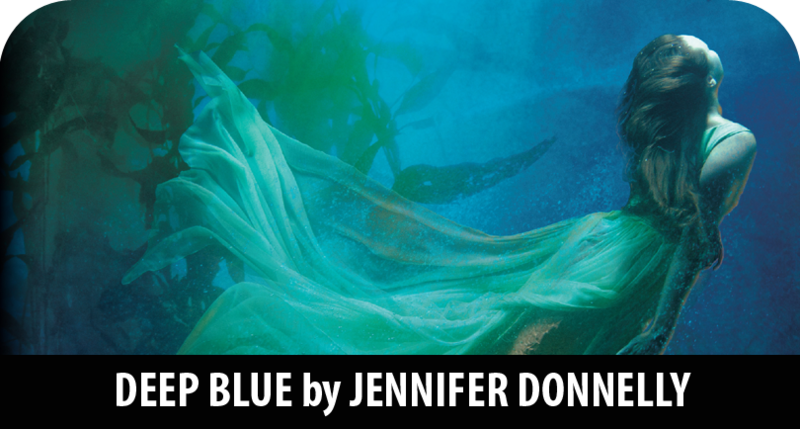 But as of this moment, right now, Deep Blue is my favorite book of 2014. And I think it's going to take a lot knock it off the top of the podium. For that reason, Deep Blue gets a full five hearts rating!